In Amsterdam you'll find a huge range of activities for tourists. 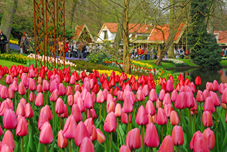 In this section we have made a selection of tours and guided tours in and around Amsterdam. With these tours you can explore Amsterdam by bus, bike, boat or by foot. For a list of museums and other places of interest in Amsterdam you can go to the Sightseeing section under Guide.